Glacier Ice Shows | A full service theatrical ice show and sports show production company. Glacier I.C.E., Inc. is a full service theatrical ice show and sports show production company. Since 1993 Glacier has been producing shows and entertainment around the World for theaters, theme parks, arenas, fairs, non-profit and industrial events. 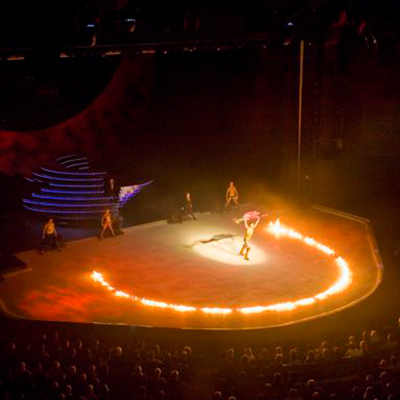 We can provide a portable ice surface, live show, costumes, choreography, World Class talent, or big name guest stars. Sea World of Texas - "Sizzlin City Ice"
Freestyle Music Park "Cool Country"